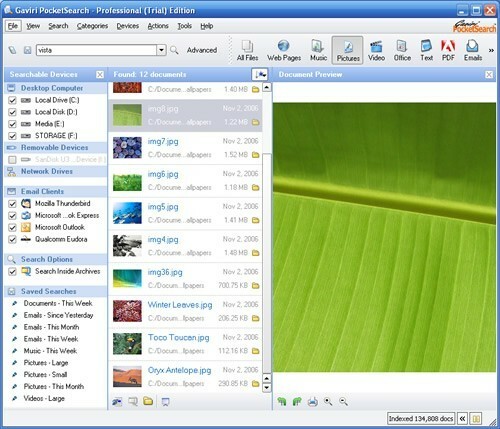 Gaviri PocketSearch is the universal search engine for all your desktop, mobile and network needs. Finding files, email, pictures, songs and other documents on any of the many devices, laptop or desktop you use is plug & play! Plug in the device and find. Gaviri PocketSearch runs on flash drives, SD cards, digital cameras and on many other portable devices.